The state of Florida requires individuals who ride a motorcycle on public roads to have a specific type of endorsement on their license. This is called a motorcycle endorsement and is obtained from the Florida Department of Highway Safety and Motor Vehicles. These are all citable offenses and depending on your driving record, you may be facing more than just a simple fine. Cited for a Motorcycle Violation? Beginning in 2008, any new motorcycle riders must pass the Basic Rider Course that is offered through the Florida Rider Trainer Program. Individuals who are riding a motorcycle without this endorsement are subject to various penalties. If you need to take this test, an instructor can easily be found on by visiting the DHSMV website. You can also obtain a motorcycle license only endorsement. Penalties for not having valid motorcycle endorsement are different than a typical traffic violation that is issued by the police. When you do not have a valid motorcycle endorsement on your license, no opportunity is available to ride the bike home. Your motorcycle will typically be impounded by the police and you are then taken to the police station and issued a ticket. If you are issued a ticket for not having a valid motorcycle endorsement on your license, the penalty for the infraction may be forgiven. To achieve this outcome you will need to enroll in a Basic Rider Course and pass the test. Once you have successfully passed the test, the charge will be dismissed and you will then be able to drive your motorcycle legally. Need Help With Your Motorcycle Traffic Violation? In the event that you need to attend court for your infraction, you may need to hire an Orlando traffic violation attorney. You are likely to save yourself time and effort as you do not need to be present for hearings at all times. The Orlando motorcycle violation lawyers The Umansky Law Firm have over 100 years of combined experience and are knowledgeable about motorcycle traffic violations. 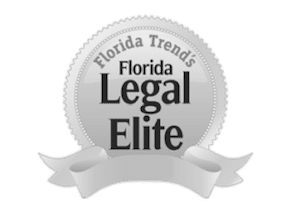 Our founder, Bill Umansky has recently been named a top criminal lawyer by Orlando Home and Leisure Magazine. With years of service in the Central Florida area, we are eager to help you in your situation. If you need help with your no motorcycle license or no motorcycle endorsement cases, contact us today at (407)228-3838 for a free case evaluation.